This Tuscan-inspired hotel provides convenient access to many southern California attractions such as the Hollywood Walk of Fame and the Getty Museum. Situated just minutes from many of southern California's most famous attractions, the Best Western Sunset Plaza offers easy access to the fun and glamour of Hollywood while still providing a quiet peaceful atmosphere at the end of the day. Located on the legendary Sunset Strip, this West Hollywood hotel is a short distance from several other trendy areas such as Century City, Santa Monica, Bel Air, Beverly Hills and Burbank. Each of the 100 well-appointed guest rooms features a microwave, refrigerator, cable satellite television with HBO® and high-speed Internet access. The hotel also offers Business Plus rooms, perfect for the corporate traveler as well as Jacuzzi suites. Hotel amenities include a complimentary continental breakfast each morning, an outdoor heated pool, guest laundry, business services and meeting facilities to accommodate up to 35 people. Guests will also enjoy relaxing in the quiet secluded courtyard adjacent to the pool area. 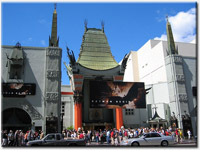 The Best Western Sunset Plaza is just a short walk to the Mann's Chinese Theatre, the Hollywood Wax Museum and the Hollywood Stars Walk of Fame. Enjoy an afternoon of shopping on Rodeo Drive or trendy Melrose Avenue. The Getty Museum, Page Museum and Griffith Observatory are also close by. Guests in town to visit students will appreciate being near both UCLA and USC. Families with younger children will also enjoy visiting Marina Del Rey, Knott's Berry Farm®, Disneyland Resort or the American Girl Store. Make a reservation today and save at the Best Western Sunset Plaza! The pool will be closed from November 16th, 2009 to December 24th, 2009 for renovations.